SPONSORSHIPS: A GREAT WAY TO SUPPORT NMAL! SPONSOR THE SEASON: For $5000 (3 sponsors maximum) your name will appear on the cover of all four plays! SPONSOR A SHOW: For $1000 (3 sponsors per show maximum) your name will appear near the title of the play. SPONSOR AN ACTOR: For $250 (3 sponsors per actor maximum) your donation will go directly to the actor and your name will appear beside the actor’s on the title page of the show in which the actor appears. BECOME A CORPORATE SPONSOR: For $1000 your company logo will appear on the title page, plus a ¼ page ad, in the programs of all four plays. Full-page ad is $350 per show, $1000 for entire season. Thank you for donating to NMAL! Ticket sales cover only a fraction of our costs. We depend on your generosity to maintain the quality of our productions. Click the button below to donate with a credit card. IF YOU HAVE A DONOR-ADVISED FUND, WE ARE A 501C3 TAX-EXEMPT CORPORATION AND KNOW HOW TO DEAL PROPERLY WITH A DAF. 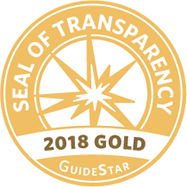 SEE OUR GOLD STAR PROFILE ON WWW.GUIDESHARE.COM!